Frackers Use EPA Draft Water Report To Raise Doubts On Science – DC BureauDC Bureau. Woods Hole, feeling budget squeeze, looks to partner with energy industry – Nation – The Boston Globe. 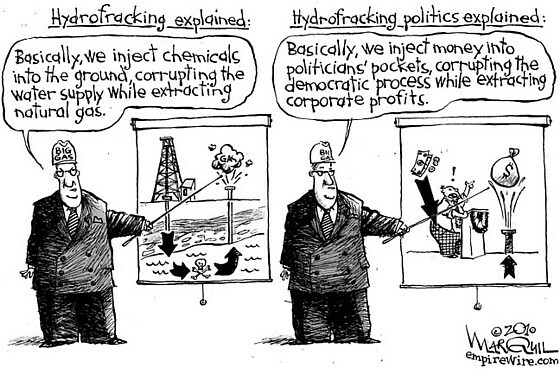 “Frackademia” By Law: Section 999 of the Energy Policy Act of 2005 Exposed | DeSmogBlog. I would like to respond to your September 24th opinion piece in Forbes magazine, http://www.forbes.com/sites/collegeprose/2012/09/24/fracking-a-role-for-universities/ for I am a concerned citizen with many family members living in the Finger Lakes region which I have been blessed to call home. As you are also residents of this region, I think you would agree that the rare natural beauty of the lakes – especially now with the lovely fall foliage and the smaller but still-wonderful apple harvest — is an inheritance requiring diligent stewardship and care, even more so at a time when climate change is altering the most hardy of ecosystems. I would like to address hydrofracking in the context of local and global energy needs, and ask you to more deeply explore how Cornell can best demonstrate its ability to be “endlessly adaptable and always relevant to needs of society.” In a spirit of respect for your opinion that hydrofracking can be done safely with good partnerships among academic, industry and government, I would like to address some of your statements, in order, with an appreciation of the complexities and realities you are faced with as academic leaders. 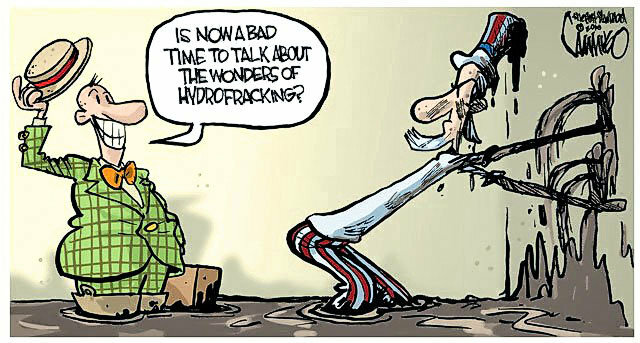 1) You stated: “Supporters [of fracking], including the American Petroleum Institute, assert that shale gas is a ‘game changer’ for U.S. energy independence, a boon to economically depressed communities, a source of new jobs, and a cleaner ‘bridge fuel’ that can transition us from coal to renewable energy sources.” Last week John Hofmeister, the founder and CEO of Citizens for Affordable Energy and a former president of Shell Oil Company was quoted by the Yale Daily News saying “natural gas is not a bridge but rather ‘a highway to the future.’” When a former president of Shell makes a case for the long-term prominence of shale gas, the public needs to be informed of the implications of this shift , which extends well beyond the “bridge-to-renewables” viewpoint that was, until recently, espoused by the industry. 2) You say: “We also believe that good public policy must be evidence-based.” Indeed, New York State has numerous physicians, academics, environmentalists, economists, students, and other concerned citizens who are in full agreement here. 3) You further state: “Despite the voluminous reports that have been generated about fracking, there is still a great deal that we do not know. 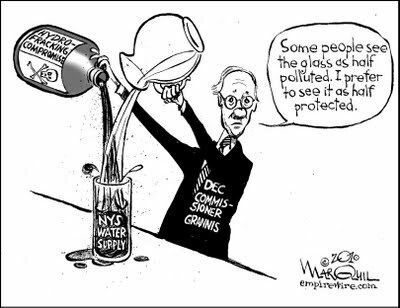 At Cornell, for example, researchers have reached opposite conclusions on whether natural gas from fracking would be better or worse for climate change than burning coal.” It is unfortunate that many landowners in New York State did not have the benefit of such evidence-based information before they committed to signing shale-gas leases they did not wholly understand. 4) You state: “So Cornell’s Ithaca campus, which is located on the edge of the vast Marcellus Shale deposit, has placed a moratorium on fracking on our own land until we have better information about it.” It would follow, then, that Cornell Cooperative Extension ought to have advised and should continue to advise landowners, similarly, to refrain from signing gas leases. 6) You state: “We believe that universities can bring a reputation for independence to these investigations. And many universities are already collaborating with government and industry to promote economic development and the public good.” It ought to be mentioned here that in the particular case of hydraulic fracturing studies, several universities have recently come under fire for industry funding and/or collaboration. It would seem that Cornell can avoid such criticisms by encouraging the University’s talent to lead the way forward to truly sustainable technologies, free of industry-funded “encouragement” to advance one technology over another. 7) You state: “Last month in a Washington Post column New York City Mayor Michael Bloomberg, founder of Bloomberg Philanthropies, and George P. Mitchell, philanthropist and hydrofracking pioneer, offered their foundations’ support to ‘organizations that seek to work with states and industries to develop common-sense regulations that will protect the environment—and ensure that the [fracking] industry can thrive.’ We urge other foundations—and government officials—to enlist universities in the development of evidence-based public policy and safer fracking operations.” The Environmental Defense Fund is accepting $6 million from Mr. Bloomberg, and is committed to the “safer” fracking ideal. However, most environmental groups, like National Sierra Club and NRDC, have very recently become much more critical of fracking, in policy reversals which, in at least one instance, followed directly after severing financial ties to natural-gas interests. 9) You say: “With natural gas supplies plentiful for now and prices relatively low, we have time to make sound decisions about our shale gas resources.” I would only hope that these sound decisions are made to help people, not multi-national corporations that are working hard to deregulate the industry, defang the EPA, and cynically campaign against entrepreneurial rivals working on renewables. 10) You say: “In creative partnership with government and industry, universities can help make sure we get it right.” Why not say “In creative partnership with government and industry, universities can help make sure we can more quickly move beyond fossil fuels”? In the spirit of your editorial, I, too, would like to encourage further dialogue and am happy to forward any response that you prepare. Meet the SRSI Advisory Board | Artvoice Daily. Across the cooperation of diversity, sacrifice and devotion we have substantially begun to accomplish the unwinding of SUNY from corrupted Oil & Gas foundational associations. The pivotal event was for all of our press, private and organizational efforts to have reached very brave SUNY Trustees….Among them, Mr. Belluck. The concise moment, is contained in this recent video of the Trustee’s Research and Economic Development Committee. Only Mr. Belluck’s hands and forearms are visible in the bottom left corner of the tiny video…and to the last second, Mr. Belluck is jokingly chastised for the “meeting attire” that he is lacking. All that matters is the bravery of Mr. Belluck’s message which I found very moving as a participant of this ‘Unconventional Resource Exploration’ journey dating back to 2008. Click & drag (fast forward) to 1-hour, 12-minutes (01:12:00) on the timer (link below) for the critical ‘Belluck segment’ to commence. To completely comprehend the gravity of Mr. Belluck’s bravery watch 30-minutes prior as the senior Trustees extoll expanding corporate relationships of economic development and the balance of minutes to closing as they mentally process the strength of his warning.